Our Chicago business lawyers offer a range of start-up business legal services to entrepreneurs, inventors, and business professionals throughout Illinois. We work closely with each new start-up from organization through each phase of growth and expansion, handling all business transactions and business litigation matters that every start-up in the first few years of operation. Because our Chicago law firm’s main focus is providing counsel to entrepreneurs, small businesses and start-ups – and have been successful in helping launch start-ups in a variety of business industries – we are more than just a business law firm to our clients. Our Chicago business lawyers have the capability to offer strategic insight on how to quickly integrate into new or existing markets and industries, and our business law firm will help connect new business owners and entrepreneurs to experienced, hard working service providers; such as, accountants, web developers, graphic designers, copywriters, marketing and public relation professionals, insurance agents, etc. If you’re ready to take the next step, and are looking to efficiently and effectively launch your new start-up business, or take your brand to the next level, please contact our Chicago business law firm to learn more. Regardless of the level of assistance you and your Chicago start-up business needs from our law firm, you can be assured of receiving quality, efficient, and personalized legal and business counsel. We truly believe in establishing long-lasting relationships with our new start-up clients. Our Chicago business law firm has a wealth of resources that will save you and your company time and money, and allow your business to hit the ground running in a short period of time. We understand that new start-up has budget limitations and we will work hard to provide reasonable flat-fee’s for our legal services. Our law firm's main focus is providing counsel to small businesses and start-ups, and because we have been successful in helping launch start-ups in a variety of business industries, we are more than just a law firm to our clients. 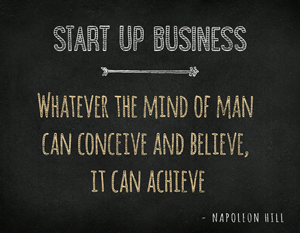 We work closely with each new start-up business from organization through each phase of growth and expansion. Please contact us to discuss your business legal matter. If you contact one of our business lawyers via email, we will respond within 24 hours (or one business day). If you would like to schedule a meeting in person to discuss your small business’ needs, we will schedule the most convenient time available for you. Our law office is located in the Loop, downtown Chicago. Initial meetings are generally provided free of charge and there is no obligation to hire our law firm. Again, most legal matters will be handled on a fixed-fee or flat-fee basis. Starting January 1, 2015 – June 31, 2015 – If you are a student entrepreneur currently enrolled in any Chicago University, or a recent graduate (within the last year) of any Chicago University, and are serious about launching a new product or service, our corporate attorneys will provide a free consultation to discuss your business and trademarks. Should you engage our law firm, our attorneys will discount our legal fees by 20% on all legal matters for the first six months your business is in operation. These legal matters include, but are not limited to, LLC organizations or corporate formations, trademark search and registrations, business contract development, employment agreements, independent contractor agreements, and other business transactional legal matters.